mokarram, M., Mahmoodi, A. (2018). Using Remote Sensing to determination of relationship between vegetation indices and vegetation percentage (case study: Darab plain in Fars province, Iran). 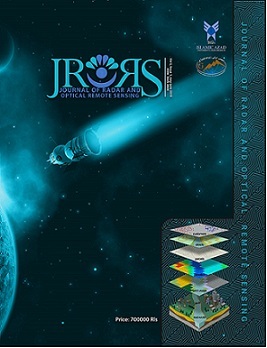 Journal of Radar and Optical Remote Sensing, 1(1), 58-67.
marzieh mokarram; Alireza Mahmoodi. "Using Remote Sensing to determination of relationship between vegetation indices and vegetation percentage (case study: Darab plain in Fars province, Iran)". Journal of Radar and Optical Remote Sensing, 1, 1, 2018, 58-67.
mokarram, M., Mahmoodi, A. (2018). 'Using Remote Sensing to determination of relationship between vegetation indices and vegetation percentage (case study: Darab plain in Fars province, Iran)', Journal of Radar and Optical Remote Sensing, 1(1), pp. 58-67.
mokarram, M., Mahmoodi, A. Using Remote Sensing to determination of relationship between vegetation indices and vegetation percentage (case study: Darab plain in Fars province, Iran). Journal of Radar and Optical Remote Sensing, 2018; 1(1): 58-67.
elevation for growing of Artemisia herba alba was 1767 to 1782..